Teaching you how to have a more holistic, soulful, earth-friendly journey in an increasingly toxic world . . . for you, for your pets, for the planet. 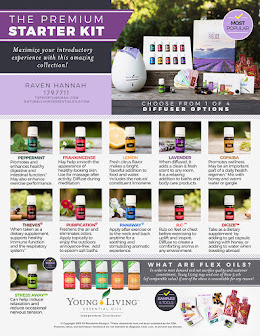 Essential Oils How To . . . .
Picture the germiest place in your house. Most people will automatically assume it’s their bathroom. Others may think of kitchen countertops or entryways that rightfully deserve the name 'mudroom,' not to mention these 9 other places germs hide around your home. But for all you pet owners, you’re probably overlooking one of the biggest germ culprits in your home: pet food bowls. A study done by NSF International examined 30 everyday items from 22 different households, and pet food dishes ranked 4th in the final list of germ hot spots. The top three were kitchen sponge/dishrag, kitchen sink, and toothbrush holder. Pet owners will likely be alarmed by these results ~ and rightfully so. Food bowls can serve as ideal breeding grounds for bacteria, mold, and yeast. But this concerning information might also raise some confusion. It makes sense to wash a bowl of wet dog or cat food, but surely refilling dishes with dry food isn’t that big of a deal, right? Actually, that misconception is what keeps many pet owners from washing food dishes regularly. 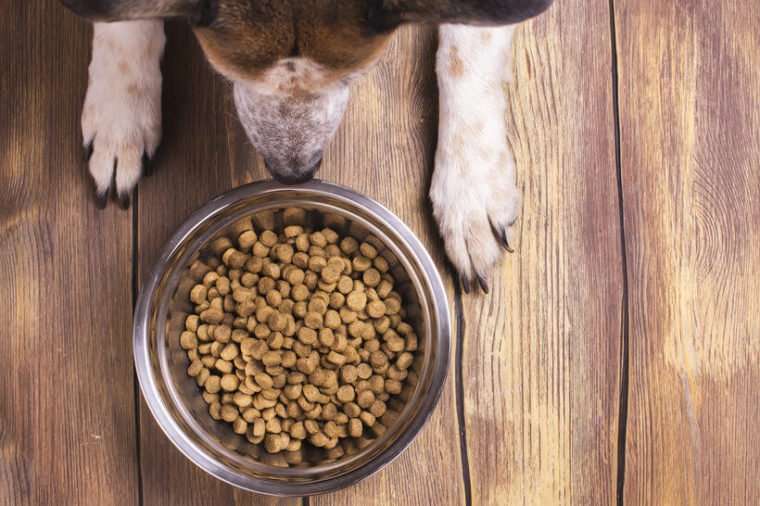 Veterinarian Dr. Jessica Vogelsang told iheartdogs.com that dry foods do leave residue, and that can result in bacteria like E. coli and Salmonella living in food bowls. As if that’s not bad enough, these germs can cause illnesses in both animals and humans. That’s why it’s important to watch out for these signs your “healthy” dog or cat is actually sick. To prevent any potential sickness spreading around your home, NSF recommends washing food and water bowls daily, either in a dishwasher or with soap and hot water. You should also sanitize the dishes weekly by soaking them in a gallon of water with a half-teaspoon of non-toxic household cleaner (such as Thieves Household Cleaner) for ten minutes. You may also consider investing in stainless steel or ceramic bowls; plastic ones can crack easily, giving germs an easy place to hide. 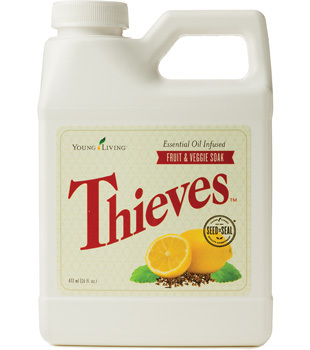 Young Living Thieves Products ~ The Power of Thieves for Every Room of Your Home! Click here to purchase your Thieves Premium Starter Kit!! 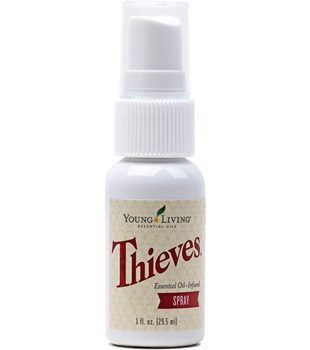 Featuring all the benefits of our powerful, proprietary Thieves blend ~ including cleaning power and an irresistibly spicy scent ~ Young Living offers Thieves on its own as a topical/aromatic essential oil blend and as a dietary supplement as part of our Vitality™ essential oil line. This blend is also an important ingredient in our full range of home cleaning and personal care products, from dish soap to toothpaste. 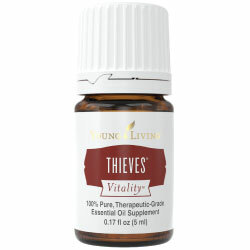 Click here to purchase Thieves Essential Oil blend!! 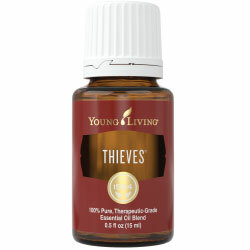 Thieves is Young Living’s timeless blend of Lemon, Clove, Cinnamon Bark, Eucalyptus Radiata, and Rosemary essential oils. Keeping a clean house doesn’t have to mean using toxic chemicals. Trust our aromatic, Thieves-infused household products for a naturally derived, effective alternative to traditional cleaning products. Click here to purchase Thieves Cleaning Products!! 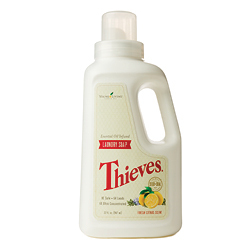 Combining Thieves, Lemongrass, and Orange essential oils, this ultra-concentrated dishwasher powder is powerful enough to tackle even your dirtiest dishes! 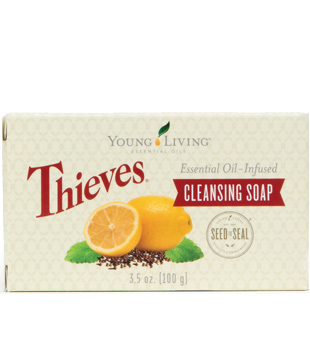 Thieves, Jade Lemon™, and Bergamot essential oils work with other plant-based ingredients to makes this essential oil soap powerful enough to leave your dishes sparkling clean. Thieves Fruit & Veggie Soak is a concentrated formula crafted with Thieves, DiGize™, and Purification® essential oil blends. With just a few spritzes, you can quickly and efficiently clean fruits and vegetables no matter where you are. 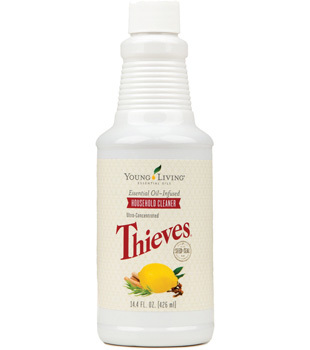 Combining naturally derived, plant-based ingredients, Thieves Cleaner provides exceptional home cleaning and purifying power. Natural enzymes boost this powerful essential oil laundry soap to leave your clothes fresh and clean with a light citrus scent. Thieves Spray is a portable cleaning spray ideal for purifying small surfaces. 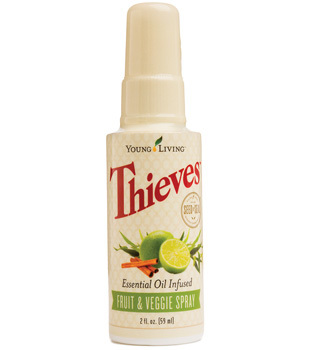 Thieves Spray can be used on doorknobs, handles, toilet seats, and more. 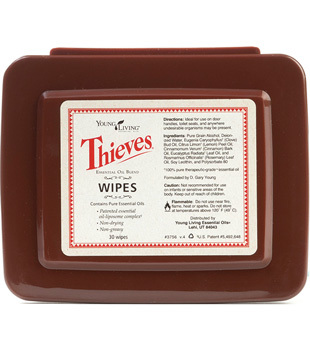 Thieves essential oil wipes are infused with the powerful properties of the Thieves blend for quick, on-the-go surface cleaning. 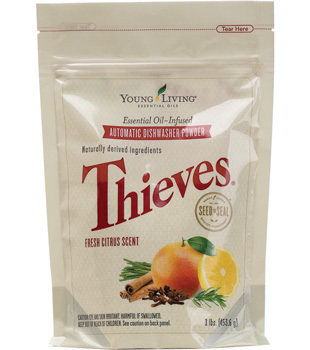 Your favorite Thieves® Household Cleaner now comes in convenient single-use packets! 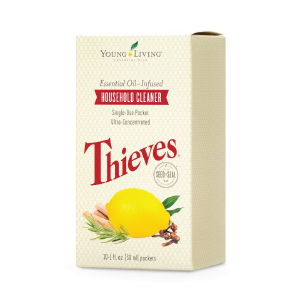 This new packaging makes it easy to share this beloved cleaner and the benefits of Thieves oil blend with your friends and family and to take it with you while you travel, camp, or do any cleaning on the go. Healthy teeth and gums start with products that clean and protect without harsh chemicals. Discover naturally derived solutions for oral health with our essential oil-infused oral care products. Click here to purchase Thieves Dental Care Products!! Free from fluoride, synthetic dyes, and preservatives, this essential oil toothpaste boasts a minty-fresh flavor for long-lasting fresh breath. Made from naturally derived ingredients, Thieves Dentarome Ultra is great for removing stains to reveal a brighter, fresher, more radiant smile! 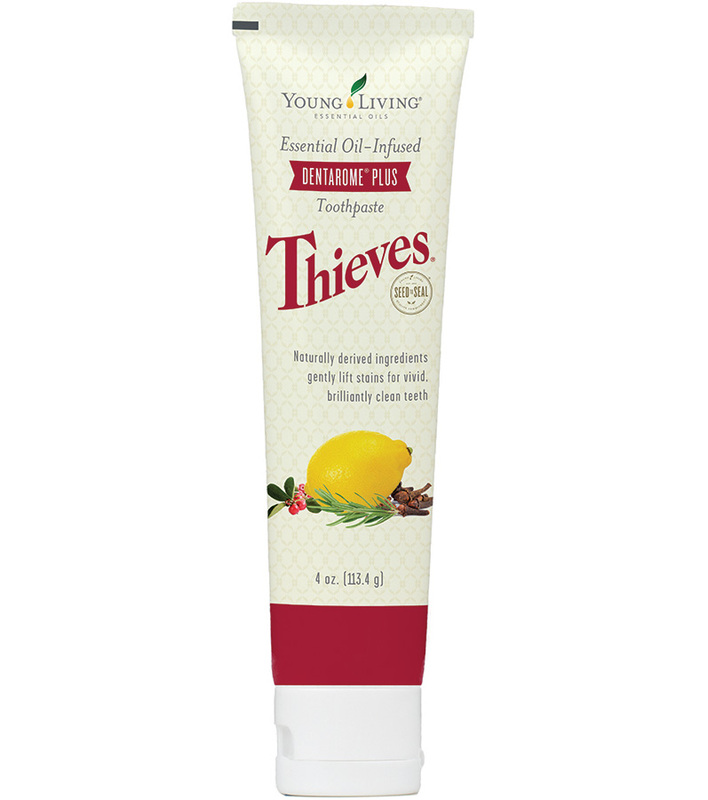 Thieves Dentarome Plus Toothpaste combines Thieves, Peppermint, and Wintergreen essential oils with gentle, odor-absorbing baking soda for fresher breath and increased cleaning power. 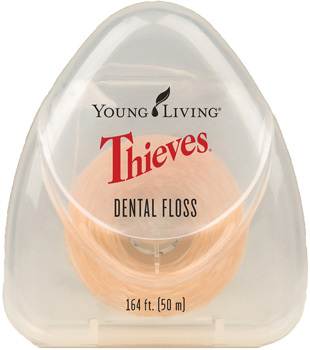 Made with strong fibers that resist fraying, Thieves Dental Floss is saturated twice with Thieves blend and Peppermint essential oil for twice the freshening power. 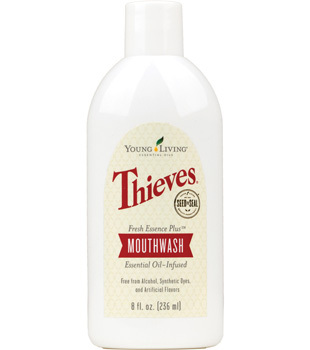 Formulated with naturally derived ingredients, Thieves mouthwash is effective without using alcohol, synthetic dyes, or artificial flavors. 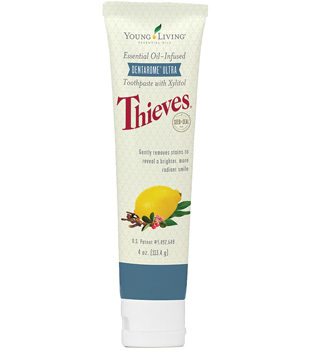 Pairing personal care products with Thieves is a natural fi, since Thieves is the perfect combination of effective and gentle! Be sure to stash a few Thieves personal care products in your purse or backpack to have handy wherever life may take you. 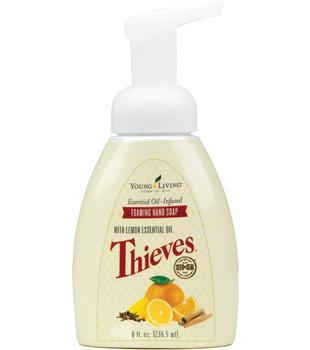 Click here to purchase Thieves Personal Care Products!! Containing the legendary Thieves oil blend, this bar soap is ideal for purifying the skin with the power of pure essential oils. 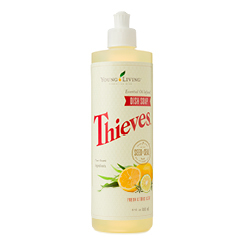 Blending Thieves, Lemon, and Orange essential oils with other natural ingredients, the gentle formula of Thieves Foaming Hand Soap is an effective alternative to soaps that contain harsh and synthetic chemicals. 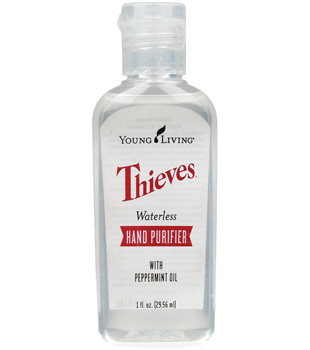 Convenient, portable, and long-lasting, Thieves Waterless Hand Purifier is enhanced with natural Peppermint essential oil to cleanse and purify hands. 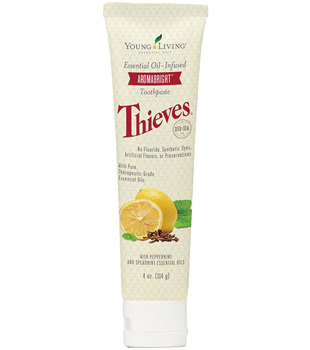 Take the freshness of Thieves with you wherever you go! With many ways to enjoy our popular Thieves blend, simply stash a few in your pocket, purse, or backpack to enjoy its signature spicy flavor and benefits anywhere life takes you. Be sure to try our natural cough drops, lozenges, and mints. Click here to purchase Thieves Cough Drops, Lozenges & Mints!! 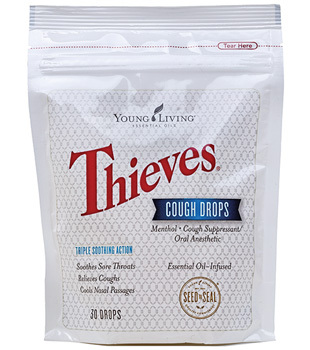 Young Living’s Thieves Cough Drops are formulated to help soothe sore throats, relieve coughs, and cool nasal passages. Discover natural relief with no prescription needed! 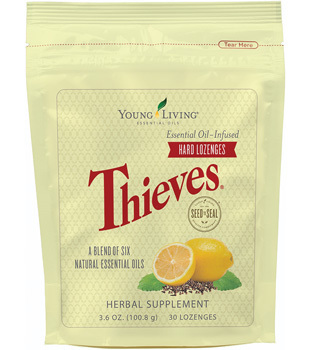 Infused with Lemon and Peppermint essential oils, Thieves Lozenges provide lasting results and freshness that you can feel. Share the ♥ by getting started on your own amazing Essential Oils journey! Premium Pet Food, Treats, Supplements & Pet Care Products! 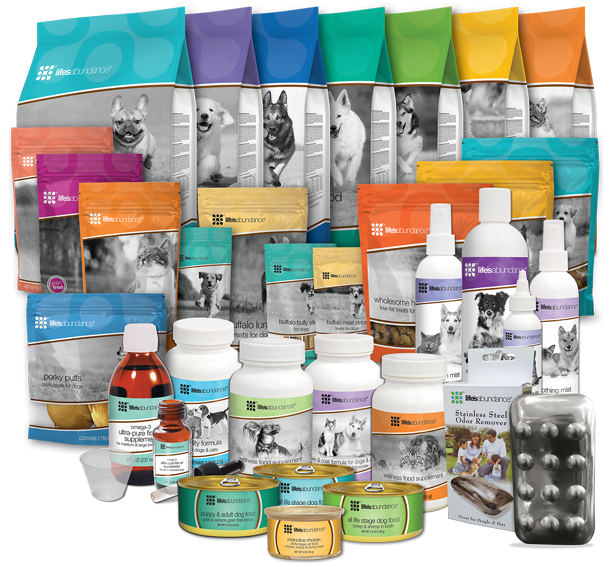 Shop for healthy, never recalled pet foods, treats, supplements, and pet care products. Formulated by our own holistic vet. Delivered directly to your door! Copyright © 2014 · Natural Living How To™. Simple theme. Theme images by merrymoonmary. Powered by Blogger.